In the world of bowling the term “turkey” is used to describe three strikes bowled consecutively. But at Bahan’s Tavern this term has little to do with strikes and everything to do with substituting the bowling ball for, you guessed it, an actual turkey (a frozen turkey to be exact). On Saturday, January 30th, Bahan’s Tavern will host the 2nd Annual Frozen Turkey Bowl with proceeds from the event being donated to PAWS. Maureen Vidakovich, co-owner of Bahan’s Tavern, shared the origin of this fun filled event. PAWS, the acronym which stands for Protecting Animal Welfare Society, is located at 400 W. Walnut Street in Jacksonville. The non for profit animal rescue organization is 100% volunteer ran and is open Friday-Sunday from 10:00-4:00. Not only does the organization welcome monetary donations and pet supplies, but they also continually seek out individuals to adopt one of the shelter’s lovable rescue animals. “We chose PAWS as our proceeds recipient because we have some very close friends who have rescued dogs there, and it’s just an excellent charity that we knew would greatly appreciate the funds and would use them wisely,” shared Vidakovich. In addition to PAWS volunteers being present, representatives from event sponsors A. Gaudio and Son’s and WJVO will also be on hand at this year’s Frozen Turkey bowl. The event starts at noon, with registration beginning at 11 AM. Teams are composed of four individuals, and the participation fee is $10 a person. Bahan’s Tavern’s beer garden will serve as the makeshift bowling alley with each team member bowling three frames. Vidakovitch encourages everyone to dress appropriately for the cold weather temperatures. Following suit with the theme for the day, Turkey will be the featured item on the menu. For human consumption, open faced turkey sandwiches and turkey chili will be available for purchase. Not forgetting everyone’s four legged friends, dog biscuits may be purchased at the event for canine consumption. Utilizing a waste not want not mentality, the monetary donation was not the only way in which the PAWS animals reaped benefits from last year’s event. “My husband then cooked up the turkeys on the following Monday and delivered the turkeys to the dogs. It was a feast for them,” said Vidakovich. 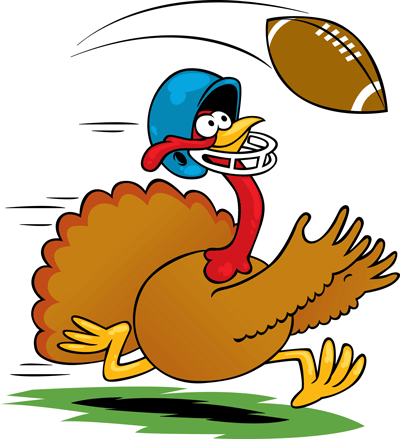 To participate in the 2016 Frozen Turkey Bowl, teams may register at Bahan’s Tavern the morning of the event or ahead of time by calling 217-243-3099. Kelsey Schutz hails from White Hall and is an adventure junkie. Traveling (46 countries and counting), practical joking, and spending time on her family’s farm are among her passions.